Far from being a story of unrelenting gloom this book to me has inspired a vision and way of life for interacting with my children. 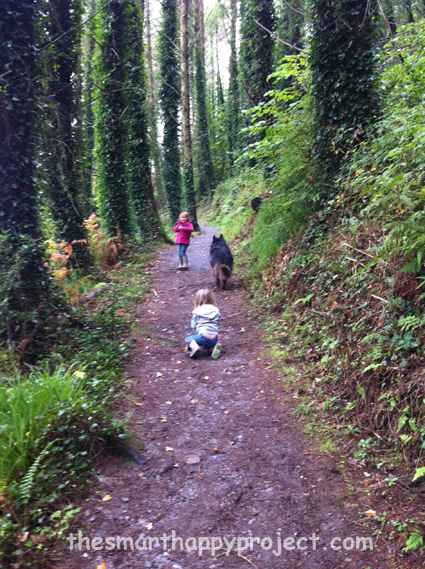 Nature Deficit Disorder is a term coined by Richard Louv in his 2005 book “Last Child in the Woods”. He outlines exactly what this is, the impact the disorder is having on us, the barriers we face in trying to change it and the threat in the not to distant future unless action is taken. Does it sound too serious? all that is discussed in detail but with such a human presence and feeling that it is quite moving and prompts you to sit up and take note. I’ve struggled over writing this, it is by far the hardest post to write so far. There is just so much I wanted to include. I’ve outlined just a few of the major points that stood out to me but there are so many more that there is not space to go into details here. I urge you to read this book. As Richard Louv points out NDD is not yet a medically recognised term, although many doctors and pediatricians are giving value to it. By looking at the many benefits nature affords us he points to the observations and effects of a life lacking in a natural connection. Side effects that include many physical health conditions as well as mental or emotional conditions and behavioral problems. He highlights longterm effects on community and the social effects of a lack of a connection with nature and where that will take us in years to come. I admit to thinking what I might read in this book I maybe didn’t have to worry about because of living in the countryside, how wrong I am! the book doesn’t just talk about a lost connection to nature but highlights a very different way of life and focus of life that has crept up on us. a disappearance of the family farm. This is put into context of how we arrived here, the eras that were before the third frontier. Also the imagined future of the ‘fourth frontier’, one that readdresses the balance of nature with technology and modern cities and one that we strive to create. Don’t get me wrong here, I’m not saying all technology is bad, far from it, I’m addicted to the internet and technology as much as the next person. But it’s about keeping it in proportion, it is a tool and try not to use it as the expense of so many other valuable experiences. He addresses the issues that unconsciously stop us letting our children from playing freely outside and highlights the question of future stewardship of the natural world. How we now find ourselves at crisis point. He looks at education and the areas that are lacking and also those that are growing with regard to children and nature and how they interact. Above all it inspires parents, it has inspired me. All is far from lost and that there is a growing presence of reformed thinking in terms of nature and our connection to it. Primarily written from American perspective it would be foolish of the reader to dismiss the issues being discussed here. THIRD FRONTIER and what that is to a child today. Nature is changed from what it was when we were young. Our knowledge of it is more. The changes we make to it are more. The impact we have on it is more. we are detached from where food comes from, most of us now lack any contact with a family farm, and we can no longer depend on biological certainties. Nature and science are blended in many respects. Remember Dolly the sheep? is that nature or science?. This is the world we now live in. ENVIRONMENTAL STEWARDSHIP. Who is going to be the next generation of conservationists if there isn’t an appreciation for nature built up at an early age?. You cannot care for something you don’t know about. It’s not about understanding about the rainforest (yes that comes later) it’s about building an inspired connection to the nature they/we see our gardens, our parks, our shared adventures. The senses and a sense of wonder. It is our role to protect that sense of wonder, in moments that spark the fascination and curiosity that breeds the next generation of conservationists and naturalists. the IMPORTANCE OF THE SENSES that is numbed by our dependence on computers and screens. As Richard Louv says: ‘children’s first line of defence are their senses’ Our senses are becoming numbed by our experiences of computers and screens. The qualities missing in a person from this missing sensory experience lead to a limited life and a lack of basic learned concepts. Those first sensory experiences are never forgotten. FEAR AND THE EFFECTS ON PARENTING ATTITUDES. This is a big one to conquer and an understandably sensitive one. We do live in a world where abductions do happen. Let’s try not to pass on that fear to our children. And this is by no means meant to trivialize recent events. What the book points to is the common sense learning that we can gain from an experience of nature and age appropriate risk taking. How it builds a sense of self-esteem and confidence. Nature’s lessons can be used to nurture a sense of self and in turn an awareness of strange situations and people. All of these are to be encouraged in children. The book highlights cases of GPS tracking of children that in the short-term are seen as a success but what about the long-term effects of children accepting this tracking and growing into adults that lack in self-confidence and decision-making? FEAR OF NATURE. What is not understood sometimes becomes something to stay away from. Indoors is so often seen as the safer place but statistics say otherwise. This fear passes on to the next generation who have a smaller view of the world, and one with so many less sensory and learning experiences. The growing ‘criminalization of play‘. Town planning has resulted in lack of natural unstructured play areas for children to hang out and groups of youngsters are sometimes seen as a threat and a nuisance. The growing legal implications of wild land on landowners and enforced Nature Conservation areas which translate as ‘dont touch nature’ all feed into a growing concept of nature being something over there, something separate. Nature becomes a day trip to go to see it through a car window, a computer screen, or a themed marketed experience. An excursion and not a part of everyday life. INSIGHTS AS A PARENT that he points us to. The fact that children look to us to take the lead and to demonstrate the experience, of course they do but it’s easily forgotten isn’t it?. A small wild experience that is shared between adult and child, maybe it contains wonder and surprise and maybe a little fear , if it’s learnt together that memory stays with them for life, more than the scheduled activity or the after school sports club. They are in our care for such a short space of time , it’s really only a few years to pass on them the wonder that we see around us and that we consider special. Use that time, share those moments of wonder together as they are The moments will stay with them and may inspire them to a life lived as a custodian of the nature. I can’t plan my child’s adulthood, any more than I can pick their friends. But I can lay a foundation for it. I can lead them in a life of self-directed learning and appreciation for what appears naturally around them. 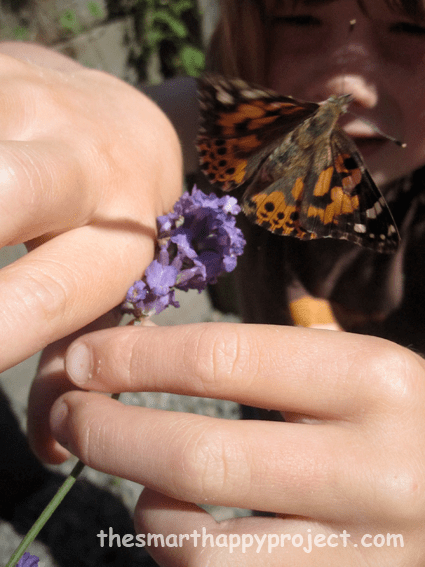 That spark of excitement for a butterfly in the hand or the innate curiosity of forever fishing. That fascination at the petals of a flower and why do they form like that? That seed of excitement and curiosity planted in their soul might, just might grow to nurture all else . The above six are the big points I take away, and if we can start to conquer those then others will follow, like town planning reform, environment based education reform. They all seem big tasks to take on, or do they? Richard Louv seems to make it all achievable and points to many ways that we are already turning it around. The last section of the book contains a useful list of ideas and points for parents, community groups and youth leaders to start to bring a natural connection back to children’s lives. Maybe I haven’t done a great job in actually ‘reviewing’ this book. There is just so much in it that needs to be understood. It has resonated with something. Recently I’ve become aware of a growing movement around these issues. Project Wild Thing is a film by director David Bond soon to be released about our NDD and our children. Richard Louv himself started the Children and Nature network to support people and organisations working to connect children with nature. the Smart Happy Project is part of that network. 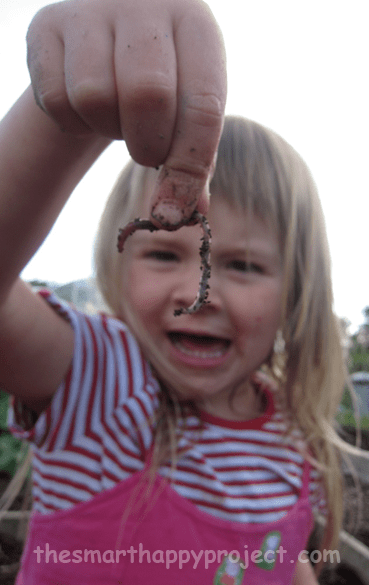 Currently running is Natural England’s Natural Connection Demonstration Project, which runs until 2015 to enhance children’s experience of learning in the natural environment and is being practiced in several hundred schools across south-west england. Is that too many links all at once? I don’t think this is a coincidence. so Why did I write this post? 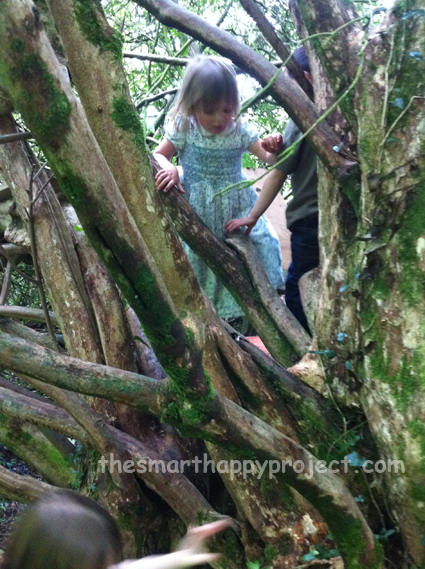 well this is what the Smart Happy Project is about and what I believe makes it valuable today, about children (and us all) discovering the wonders of nature through natural geometry and a connection with the world around them. If you agree with the points raised in this article and want to find out more, read the book. Want to connect your children more with nature? sign up for membership of the Smart Happy Project below to start receiving news on how you can connect your child to nature through natural geometry. ok just one more link, its only 85 seconds of video. this is Richard Louv himself, speaking on that sense of wonder, go on, click the link.